Meeting room also known as conference rooms in an office are considered as the most disciplined, and professional-looking room. Majority of the high-ranking executives sit here together to deliberate numerous important matters such as making a business decisions, deciding a new product launching, and other important business meetings. 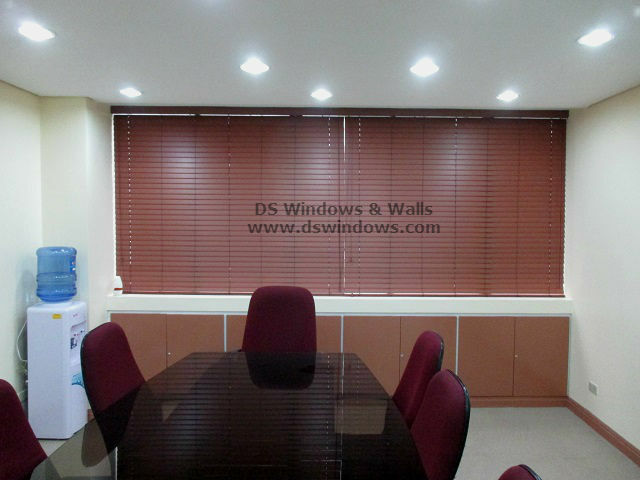 Providing privacy and comforts inside the conference room are some of the basic standard needed in such room, but we can also add some beautification and style for much better atmosphere. One of the things that you can enhance to help uplift the mood in any room is finding the most suitable window cover that fits your requirements and match with your motif. 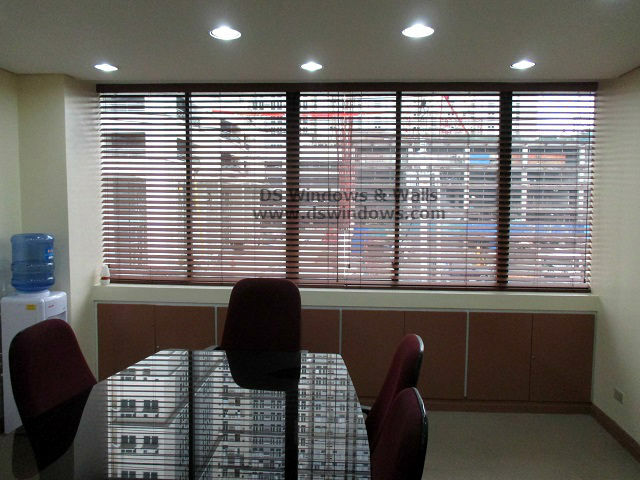 Our client in Ortigas Ave., Pasig City chooses to install Faux Wood Blinds in their conference room. They needed a window blinds that can totally block the sun light since their window is facing directly the sun heat. Although faux wood blinds hardly is the only blind that is suitable for meeting or conference rooms, faux woods blinds offers an elegant but functional atmosphere. Like its blackout roller blinds contemporary it can also totally block the sunlight and also serve as insulator to maximize the efficiency of the air-conditioning unit. Since Faux Wood Blinds is one of the best imitations of real wood blinds it also gives you the look of luxury and contemporary look just the same and a better advantage when it comes durability and price which is cheaper. Faux Wood Blinds are also super washable and adaptable in different temperature like too much exposure to heat. It also doesn’t break or snap. It has a longer life span compared to other window blinds and also well proven by a lot of people.